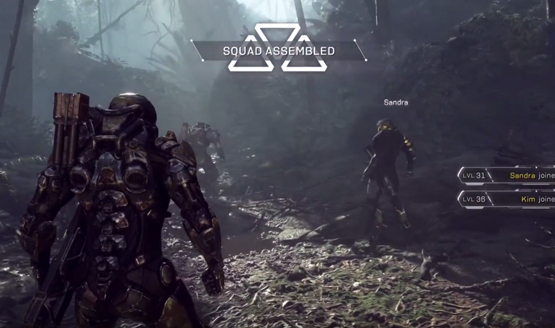 Somewhat similar to Strikes or Raids in Destiny, Anthem‘s Stronghold missions require players to team up in groups of four. While in these missions, players tackle critical areas and battle high-level enemies. The risks are supposedly worth the rewards, though, as loot in Stronghold missions have a higher rarity. Apparently, there will only be a limited number of such missions available at Anthem’s launch. During the upcoming demo sessions, players will have the chance to experience one of them. This news was revealed during a recent IGN livestream, where two Anthem developers–Producer Scylla Costa and Associate Producer Jen Cheverie–were also present. During the stream, Costa explained that at launch players will be able to access three Strongholds after completing the campaign. Meanwhile, the demo will feature only one Stronghold. Lead Producer Mike Gamble corroborated Costa’s words, telling fans on Twitter that there will indeed be three Stronghold missions available at launch. Since Anthem’s release date is right around the corner, BioWare has been more forthcoming about concrete details of late. For instance, the title’s six difficulty tiers recently received a rundown. Of those six, three of them, which are referred to as Grandmaster levels, will be exclusive to the endgame content. Additionally, the studio has revealed Anthem’s social hub, the Launch Bay, that will allow up to 16 players to simultaneously exist in a shared hub space. More information about the game’s story has also surfaced, particularly with regards to a villain named The Monitor. Anthem will release on the PlayStation 4, PC, and Xbox One on February 22, 2019.